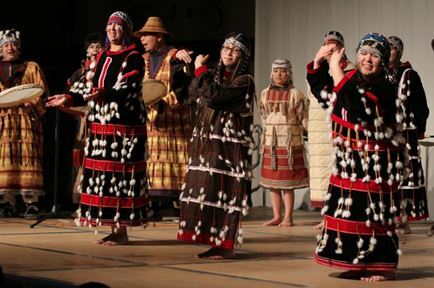 The Alaska Native Heritage Center Dancers began in 2000 with our after school high school program. Students who joined the dance class learned traditional native dance from dance group leaders from throughout Alaska. Students who did well in learning the many different dances were considered for employment during the summer tourist season to perform for our guests who visit the center during the summertime.